“I want to make sure it’s perfectly clear that this recommendation is not a sales pitch. 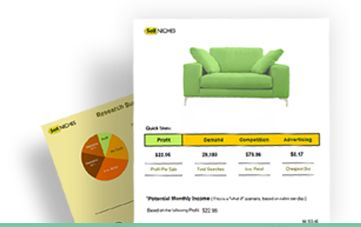 I don’t make any money recommending the Sell Niches Bundle to my students or my Members at Worldwide Brands. I only recommend services I trust and know WILL help. The Sell Niches Bundle has helped many of our Members pick great products to sell. If you don’t know what to sell or you are not sure if the product you want to sell is a good idea, then I highly recommend getting The Sell Niches Bundle. 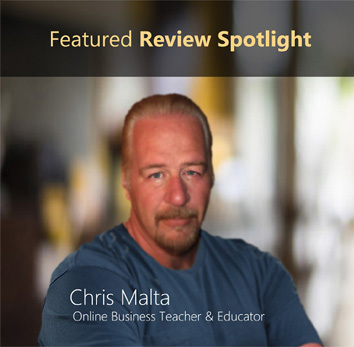 Chris Malta is the Founder & CEO of Worldwide Brands and has his own personal Online Business Mentorship Program where he teaches people how to start and run successful online stores. "I am a member of Worldwide Brands..."
I read every word, took notes and will follow it religiously. I am a member of Worldwide Brands. This (Sell Niches) mini course opened up a whole new outlook. "...now I have a real chance to succeed." I want to sell products online and had no idea how to go about doing it until I purchased and read your book and now I have a real chance to succeed. Thanks a lot. "I am so happy...opened a new world to me"
Worldwide Brands Member - "Incredibly helpful, useful...worth every penny!" This is incredibly helpful and useful!! Being new to starting a business of selling online this is what I needed to get started. and understanding on how and what products to sell. I was really lost until reading this!! I had already purchased worldwide brand, and after reading this that was the first smart thing I did! Thank you so much it was well worth buying, and so glad I did now! I will now continue to build my store with confidence and excitement of my new journey!!! Worth every penny!!! A fabulous and very useful book packed with relevant information presented very well. "I'm excited with the niche I found!" really enjoyed it. i was ready to throw my hands up and be done because i just could not seem to find a niche to stick with that i felt confident in. well after this im really excited! the niche i found i dont think i could have come up with on my own or with the other "finding niche" resources i have used. and i have confidence in this niche because the market vs. looks excellent as well as having a great profit potential. so thanks. so excited jessica. "Most informative eBook I've ever read." This is by far the MOST informative ebook I have ever read. I almost didn't buy it because I thought, well, here goes more wasted money. FINALLY, real directions on what a niche IS, and HOW to go about researching! All the other info I have bought is so vague,......find a niche, and do research...? ?I could go on about your product, but in simple, short, terms...ANYONE out there that has never sold online or has plans to start a business, you don't just buy stuff and put it up for sale! BUY THIS PROGRAM! 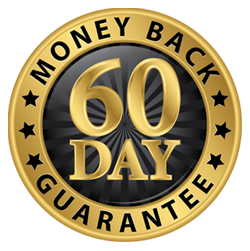 !It will save you time, money, and a whole lot of heartache! I wish I had this a long time ago. Feel free to use this email as a testimonial, I LOVE it, and you will too!! "The whole research process from A - Z." Great information clearly presented. It covers the whole research process from A to Z. A must for anyone wanting to sell online! "Tools and information are excellent...definitely worth the price." Your tools and information are excellent, definitely worth the price. You saved me considerable time, money and effort over my previously endless hunting around for the direction and answers that you readily provide. Thanks for making Internet marketing and sales much clearer and straight forward. And your customer service is terrific. You're a real pleasure to work with. Great ebook. Right to the meat of the material. Easy reading & very comprehensive. I finished the course very confident. Thank You.